We could not be more pleased with the decision to rent this house. We stayed here with a large group of friends/family and had a very relaxing and enjoyable vacation. The design of the home never made us feel like we were crowded even with 16 people. Located right on the beach, the views from this house were truly breathtaking. We had a great time watching the sunset from the second and third floor balconies. We were pleased with how close it was to the restaurants and all this beautiful area has to offer. There is also a little convenience store across the street which allowed us to get some last minute supplies. Overall, the experience was seamless.. the house was spotless upon arrival. Very nice finishes and decoration throughout the house. Beds were comfortable and the bathrooms were nice. The kitchen was well stocked with pans/utensils for cooking and we also used the poolside grilling area with no problems. We loved being able to bounce back and forth from the pool area to the beach. Would highly recommend to anyone looking for a great setup to entertain large groups. Thank you for taking the time to tell us about your stay! We are very happy to hear that you had such a good experience at Beachfront Paradise. We are glad that it was spacious and comfortable for a group of 16! That’s great to hear that you were able to take advantage of the balconies for the beautiful sunset views. We truly appreciate your kind words and we are very happy that your stay was to your liking! 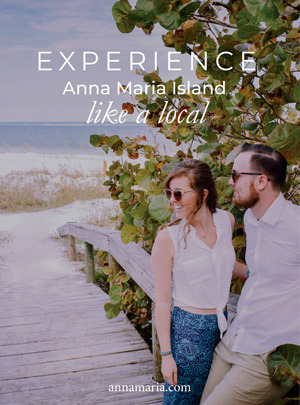 We would love to help you plan your next trip to Anna Maria Island!